Relax or sleep in your private quarters to the soothing and hypnotic ambience of your deep space exploration spaceship. Distant sounds of the crew and mechanizations echo through the passage ways outside your door. The occasional chirps of support systems are subtly audible in your quarters. 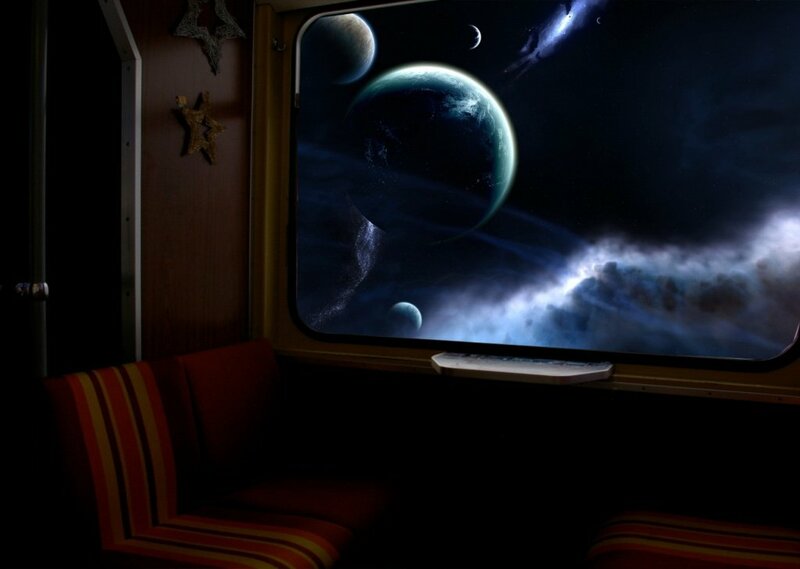 Enjoy the vast tranquility of the cosmos out of your window as you drift into blissful relaxation and hyper-sleep. Dream of exploring beautiful far away planets and galaxies. Enjoy! - This mix was designed primarily as a sleep aid. - Sounds used are audible on small speakers (no low-frequency). - Sounds were carefully selected and balanced to not be too intrusive. - Most of the sounds are very low to act almost more as a psycho-acoustic nuance. - I personally found this mix helpful as a sleep aid while traveling and staying in hotels. Comments for "Deep Space Explorer (sleep)"
License details for "Deep Space Explorer (sleep)"